Thirteen years after the first book was published, it was announced that J.K. Rowling’s Harry Potter series would be getting its own free interactive online experience built around the books. Pottermore.com opened to all on April 14th, 2012, allowing fans across the world to delve deeper into the world of Harry Potter, illuminating the stories with a mix of evocative interactive artwork called ‘Moments’, a range of exciting mini-games and over 20,000 new words from the author herself. As well as housing a dedicated social platform, Pottermore became the exclusive online retailer of the Harry Potter eBooks, which until then had never been available. Over the last two years, we’ve been working closely with the Pottermore team to take that unique online experience one step further. Taking inspiration from the Pottermore universe, we have developed fully-realised 3D environments, packed full of mini-games and activities, allowing you to step inside Pottermore in ways never possible before now. 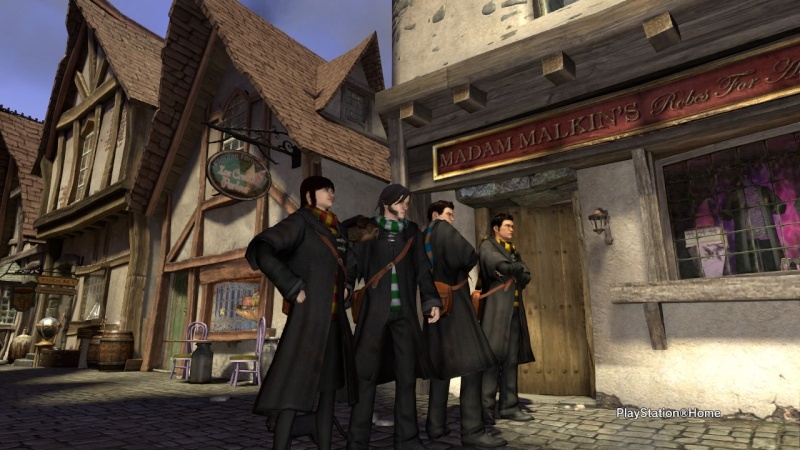 That’s right, Pottermore is coming to PlayStation Home. The team here at the London Studio has been working tirelessly to bring a bit of magic into PlayStation Home, and we are so proud to finally reveal it to you. Go head to head with two to four players in Book Herding. Round up a consignment of escaped magical books and return them to their cages before any of the other players. Be careful though, your opponents will be out to stop you, using spells and general craftiness to impede your progress and scatter your books at the most inopportune moments. 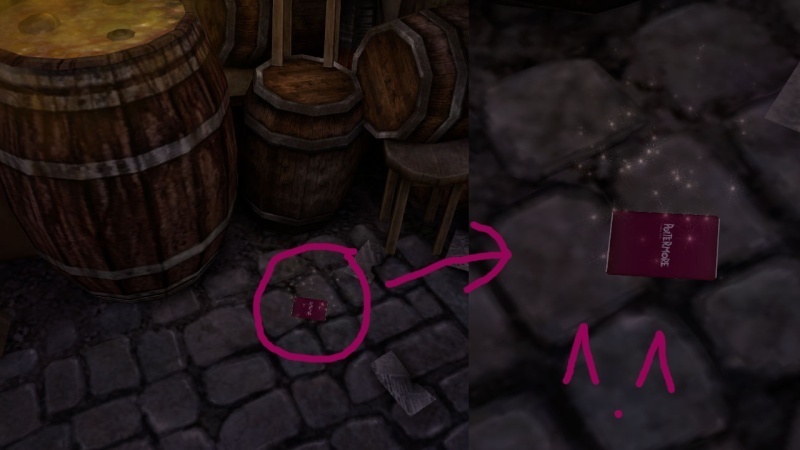 Around the Pottermore spaces on PlayStation Home, you may discover hidden collectible Pottermore Trading Cards. You might also gain cards by participating in mini-games. In order to trade these cards with people you will need to have an account on Pottermore.com, have progressed past Chapter Seven of Harry Potter and the Philosopher’s Stone and have been sorted into one of the four Hogwarts houses (Slytherin, Gryffindor, Hufflepuff, or Ravenclaw). Link your account via our handy Navigator App, and you’re all set! Haggle for doubles and trade for the cards you’re missing at one of our dedicated trading tables. Be the first to complete your collection! Kit yourself out in a range of Hogwarts house robes and accessories from Madam Malkin’s Robes for All Occasions or Twilfitt and Tatting’s in Diagon Alley. Pick up a friendly companion from the Magical Menagerie or, if it’s owls you love, visit Eeylops and choose your bird from their finest selection. 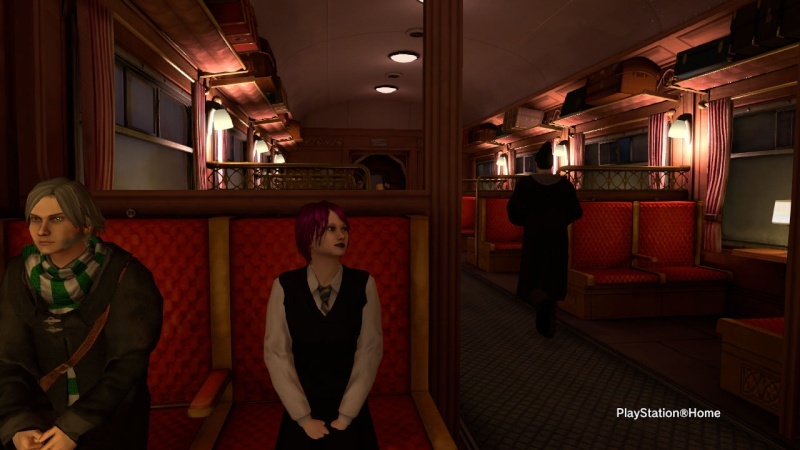 Approach the slightly dubious character at the end of the Hogwarts Express to gain access to an illicit Wizard’s Duel. Practise your moves and prepare to duel. Jump right in via Quickstart, or develop rivalries and pick your opponents via the Game Lobby. Pack your Puffskein, board the Hogwarts Express and test your knowledge of the wizarding world with a Pottermore quiz for two to six players. The first to ten correct answers wins. If more than one player gets to ten correct answers at the same time, you’ll enter tiebreaker mode! We’re really excited to bring you this content, and we hope you enjoy this first venture into the world of Pottermore at PlayStation Home. Believe me, there’s more to come…. If you have a Pottermore.com account, please add me. My ID is "NightPixie28710" I have not read any of the books but I loved the movies and learned alot about the world of Harry Potter from a few friends who are big Potter-heads, I will be sure to post pictures after the update sporting my new RavenClaw house robes. GO RAVENCLAW! I have never been so stoke about a PS Home update! My pottermore ID is SpiritPumpkin2494. although I didn't use it much since i created it. So went to Diagon Alley today and met up with Bus. Quickly discovered that in order to keep the authenticity of the space in tradition to the Harry Potter universe, you are unable to utilize any items, companions, or LMOs that are not provided by Pottermore. It is nice that Pottermore provides you with a set of robes and uniform free of charge when you arrive. 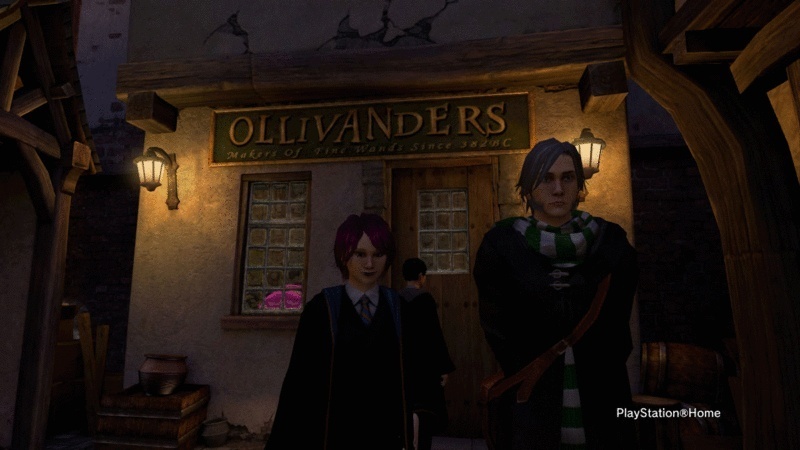 We wanted to follow in the footsteps of Harry so we got out pet and headed over to Olivander's to pick out our wand but... it was closed! O.o So dissapointing. So instead we bought our respective Hogwarts house robes (Mine, Ravenclaw. Bus, Slytherin) and posed infront of the shop for a picture. Then, before we knew it, we were on the Hogwarts Express (When did we get to Platform 9 3/4? lol) I then taught Bus a lesson why he shouldn't challenge me to a Wizard's Duel, lol. Then we played the Pottermore Quiz and traded cards. Also I found a card on the ground in Diagon Alley so keep an eye out for them while walking around. Also learned that you will not find, earn or even be able to use the trading card stations unless you have a Pottermore account linked to home so jsut an FYI. You can earn cards by Finding them, Winning any of the mini games, or by exploring Pottermore.com Right now they are just collectable but they might be used for something in the future. That's just my hguess. I took this picture a few weeks ago, 4 Hogwarts Houses in harmony. Go RavenClaw, Woot! I hope they add the wands soon.